Grow Me Instead representative Vicki Simkovic will introduce us to native plant alternatives to a number of invasive plants that escape the borders of our gardens and then thrive in nearby natural areas. 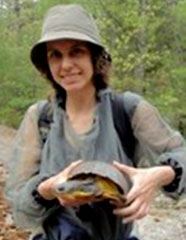 As well, she will share best practices for removing invasive plants such as dog-strangling vine, garlic mustard and Phragmites. Vicki Simkovic is the new Coordinator of the Ontario Invasive Plant Council (OIPC), managing programs such as Grow Me Instead, which encourages the use of non-invasive alternatives to commonly used invasive horticultural species. More information on this subject is available at www.ontarioinvasiveplants.ca. Members are invited to pre-pay their 2019 membership dues at this evening's meeting. The Holiday Celebration Committee will offer our members the opportunity to try and win some nice fundraising donations this evening. 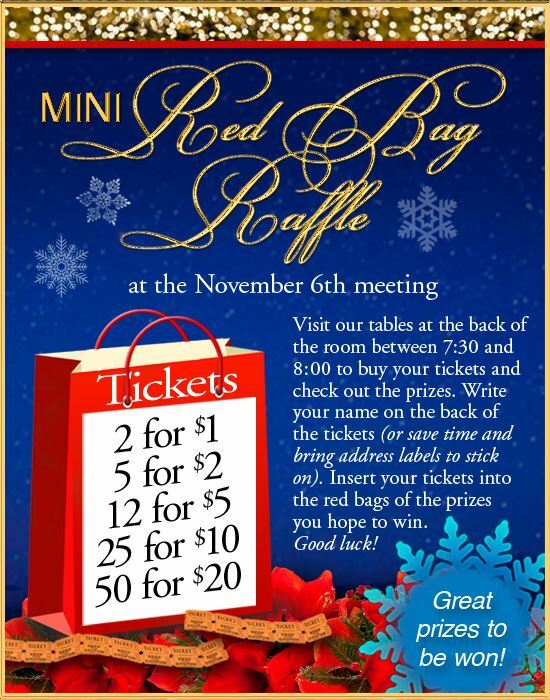 Visit the tables at the back of the room between 7:30 and 8pm to review the prizes and purchase raffle tickets. Write your name on the back of the tickets, or save time by bringing address labels and sticking them on the tickets. Insert your tickets into the red bags associated with the prizes you hope to win. Consider giving someone special the gift of one or more Garden Sunshine Roses this holiday season! Attractive, full-page gift certificates will be available for sale this evening at a discounted price to meeting attendees. Each gift certificate entitles the bearer to one of our lovely 100th anniversary Garden Sunshine Rose plants, which will be available for pickup at our spring Plant Sale. Please share your seed bounty with our collection team this evening. Seeds will be offered for sale at great prices early next year. Our bus trip committee is looking for input on ideas for future excursions and will be collecting responses to a survey at tonight's meeting. Interested attendees are encouraged to print and fill out the survey form in advance of our meeting (click here). 2017 Flower Show Trophy Winners are encouraged to bring their trophies to tonight's meeting, so they may be prepared for the high scorers of our 2018 flower shows.